What Causes a Garage Door to Come Off Track? There are many causes of an uneven, off track garage door. Depending on the problem at hand, it is important to consider the many reasons why this happens. You also want to ensure that you speak with a professional garage door contractor regarding all the work that needs to be done on it. The contractor can come out and provide not only an estimate but let you know what exactly the issue you’re having is. 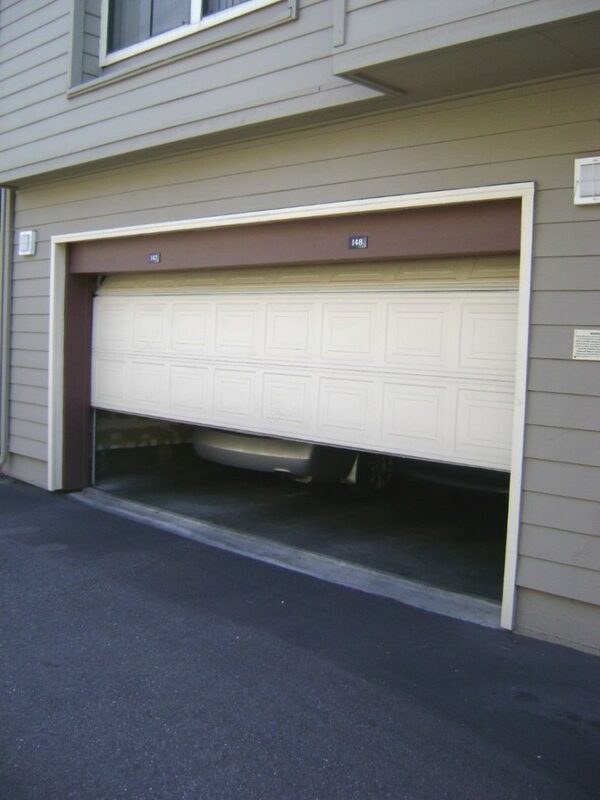 One of the most common problems is when one or two of the rollers in the garage door breaks. This can be any time throughout the course of its lifespan. This is caused by extreme wear on the door from being used often. Sometimes when this happens too soon, it is because the door and tracks are lower quality. This then causes more stress to be placed on the rollers and other hardware. This then causes even more rollers in the door to break or to come off the tracks. This then leaves you with a garage door that is unable to open and close correctly because the rollers are broken and they are also off the tracks. Sometimes when the door is unevenly balanced on the rollers and tracks, this causes the door to come unhinged from the area it is supposed to slide on. This then puts the tracks off alignment. This makes for the door to have a hard time opening and closing, but it can also cause the door to come completely off when it is doing so. Always be safe and never sorry when the garage door can open and close as it should. You want to feel confident knowing that the door is not only high quality, but also working the best that it can. Want to get in touch with the garage door contractors working in your area? Simply fill out the form below and we can help you get connected with those working in your area that can come out to look at the garage door that you have. Contractors Today has the connections you want most!